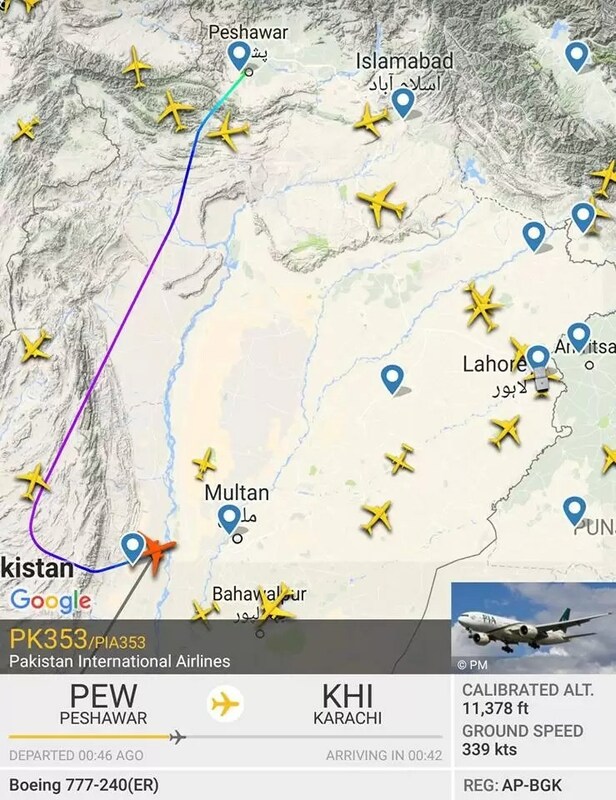 Flight PK-353, of Pakistan International Airlines en-route to Karachi from Peshawar, carrying 116 passengers, made emergency landing at Multan airport after smoke was detected in plane’s galley oven on Tuesday. The plane in question is Boeing 777-240ER with registration AP-BGK.According to PIA the the plane made an emergency landing in Multan due to smoke coming from a galley oven. No causality was reported according to initial reports. After landing the aircraft At Multan airport the oven was replaced and the aircraft is undergoing necessary checks in Karachi for further clearance. The aircraft remained on the ground in Multan for about 7 hours, then continued the journey, without the oven and reached Karachi with a delay of 8:10 hours. As usual Pakistani media went into a frenzy over it and the screaming headlines were about fire. The Nation even sent the plane backwards from Karachi to Peshawar. We wonder where are editorial standards? According to these reports apparently there are kitchens onboard these planes.